Al Ahli Bank of Kuwait (ABK) today announced its successful sponsorship of Kuwait Educational Academy Football Tournament. The event, hosted in the Yarmouk Sports Club in Mishref on 13th April 2016, witnessed the participation of students from different special needs schools. 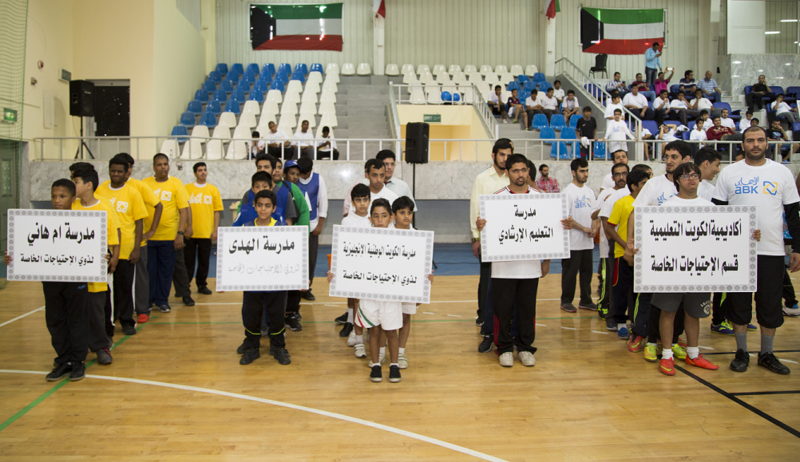 The tournament was held in an effort to encourage individuals with special needs to engage in sports activities. The exciting event featured a final football game between Kuwait Educational Academy School and Om Hani School to conclude the game for the season. The first place went to Kuwait Educational Academy school. ABK supports initiatives that focus on engaging individuals with special needs in the Kuwaiti society as part of its CSR strategy for 2016. It will continue to play an active role in supporting this segment through similar opportunities.